Producto: Clio MTV Edición limitada. Redactora y directora de arte: Nadia Fusco (Argentina). Lugar de estudio: Instituto Superior de Publicidad (AAAP). 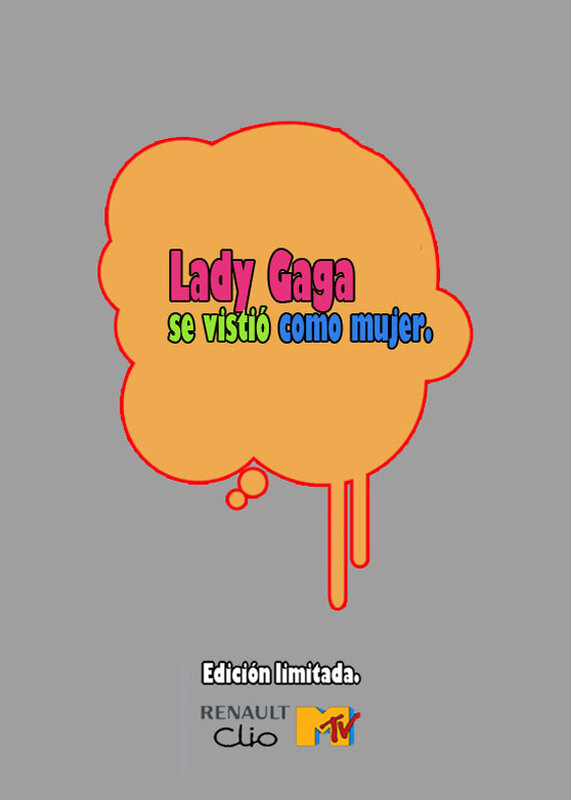 Texto: Lady Gaga se vistió como mujer. Edición limitada. Texto: Britney está sobria. Edición limitada. 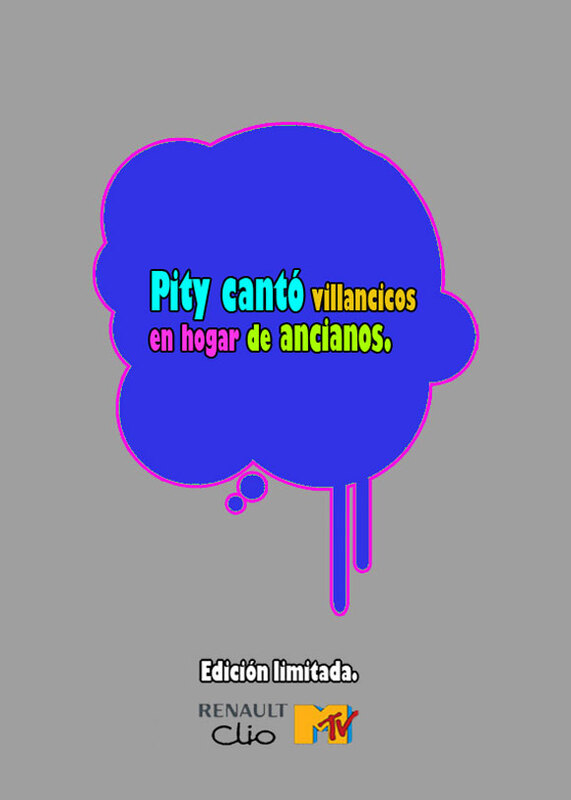 Texto: Pity cantó villancicos en hogar de ancianos. Edición limitada. This is one of several reasons why I keep returning to this web site. This article is an abundance of ideas and I cannot wait to work on utilizing them. I like how it’s evident that you made a bunch of time and effort in searching. I never enjoy it when I study articles that are 500 words long but are incomplete in substance. It is like they just want to catch you in and they’re not really providing something first-rate. So thanks a lot!